These charming pine primitive foot stools can be stacked or used seperately. 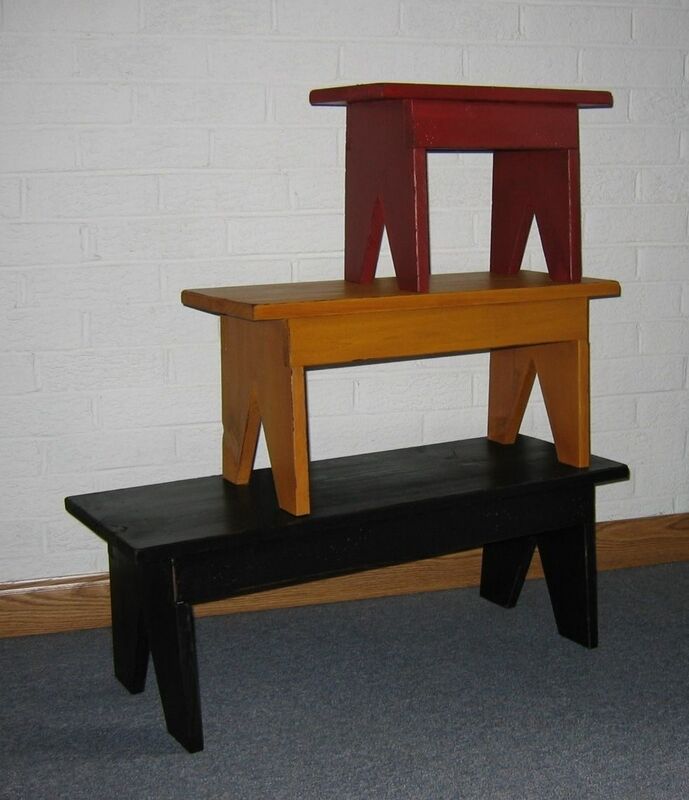 The largest stool measures 30" long x 11" high x 11" wide and is finished in black satin. The medium stool measures 23" long x 11" high x 9 1/2" wide and is finished in Olde Gold satin. The small stool measures 15" long x 11" high x 8" wide and is finished in Cranberry Red satin.